This is a question about the phrase "botella de agua". How does one make the distinction between a bottle filled with water and a bottle normally used for the purpose of carrying water? For example, in English one might say, "Each person should fill their water bottle before we leave." Or, "Please pass me that bottle of water." 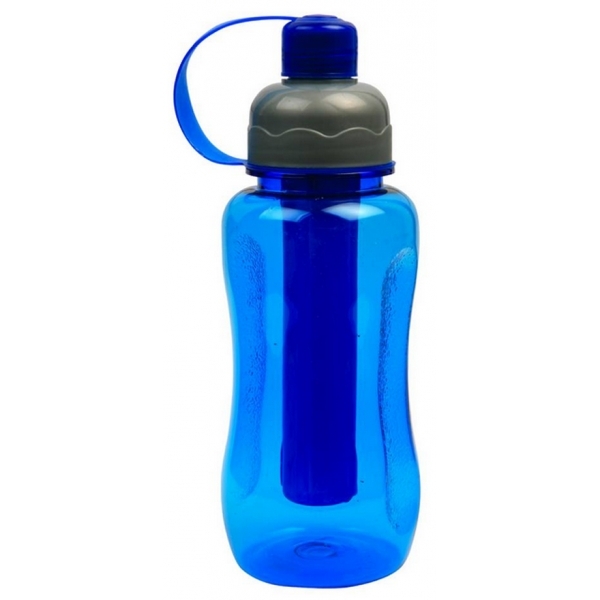 A "water bottle" may be filled or unfilled. A "bottle of water" would definitely be filled with water regardless of whether it's a water bottle or not. For example, a wine bottle filled with water could be called a "bottle of water" but not a "water bottle". Likewise, one could call a filled-up "water bottle" a "bottle of water", but one wouldn't say "Please pass me that bottle of water." referring to an unfilled "water bottle". This distinction applies to other phrases too, especially when an object can contain something. For example, asking someone if they would like a "tea cup" is quite different than asking if they would like a "cup of tea". But both would be called "taza de té" in Spanish? Pencil box vs. Box of pencils. Pig pen vs. Pen of pigs. Wood shed vs. Shed of wood or wooden shed. Etc. How does one make the distinction between a bottle filled with water and a bottle normally used for the purpose of carrying water? 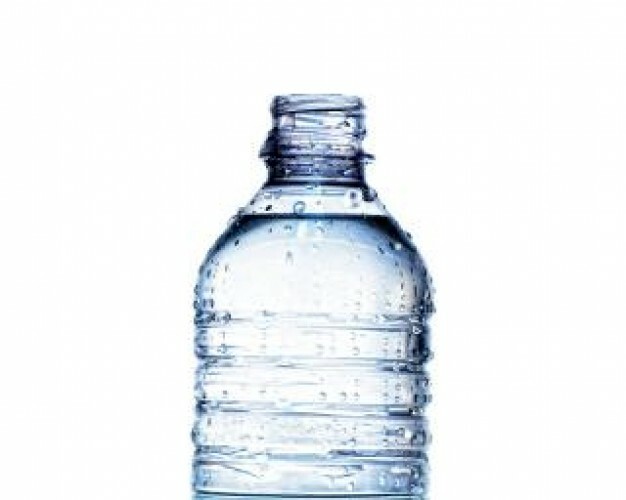 First, a phrase like trae la botella de agua can mean both bring the bottle of water or the water bottle, you can infer the meaning from the context. However, if you want to be more specific, you can ask for la botella con agua and there will be no doubt you are asking for the bottle of water. La botella de vino con agua for example, is the wine bottle filled with water. This distinction applies to other phrases too, especially when an object can contain something. Yes, same idea here. Una taza de café can be both the empty cup of coffee or a nice cup filled with coffee, yet in this case you don't usually say una taza con café nor una taza llena de café, the only help here is to know the context of the situation, but you default thought should be they are asking or offering a cup of coffee. The complicated stuff here is in english, not in spanish. As you say, for native english people, 'teacup' or 'cup of tea' are used depending of the context. The particle de is the one we use for spanish, so there's nothing to be worried about if you say (1). Number (2) is incorrect. ¿Me das un vaso con agua? which is also correct, but saying 'vaso de agua' is spanish is like a glass made of water, which is absurd and nobody's gonna misunderstand that. Generally, context makes things very clear. When it doesn't, Spanish of course has ways to clarify, but it's generally not necessary. de meaning the material. Oftentimes, you can use an adjective to substitute for this meaning, but not always. When you can't, or the adjective itself brings in other ambiguities, you can use hecho/a de to be very clear. For example, botella de plástico could be rewritten as either botella plástica or botella hecha de plástico. The adjective form sounds nicer, but if you want to say a glass bottle, you can't say *botella vidrial, the only option is botella de vidrio. de meaning the contained items. In this case, you can use lleno/a de o que tiene. In your case, la botella que tiene vino, la botella llena de cerveza. Other options may introduce other ambiguities, la botella que lleva agua or la botella con el vino (it might not presently have water, or we might be talking about a bottle alongside some wine). de meaning the origin of something. The easiest substitute is que viene de. de meaning the ownership of something. The simple substitution is que pertenece a. And finally,de that enables the use of a noun as an adjective. There's no single way to represent the idea, and you will inevitably need to use a phrase to be crystal clear. as you can see each word implies different things. Not the answer you're looking for? Browse other questions tagged traducción or ask your own question. Why would “water” not be translated? Why has “fox” been translated as “zorra” in Spanish versions of Aesop's fables?